Bradley Strong wrapped up his junior year at Western Carolina University in 2014 before coming to St. Cloud for the summer, hitting .339 (81-for-239) for the Catamounts and starting in all 55 games while tallying team-highs in doubles (6), triples (6) and total bases (131). He also totaled six home runs, 53 RBIs, recorded a .548 slugging percentage and finished the season as an All-Southern Conference first-team selection and a Louisville Slugger third-team All-American. 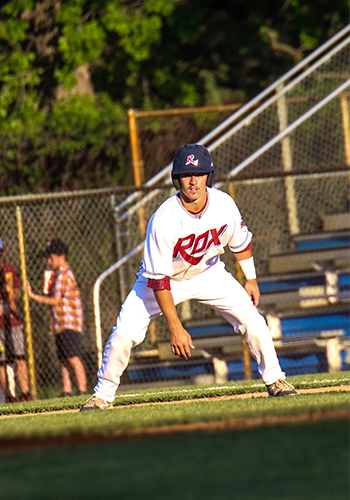 Strong also played for the Rox in 2013, batting .309 (25-for-81) with 14 runs scored and nine RBIs while seeing action in 23 games. How old were you when you started playing baseball? I was 5 years old when I began playing baseball. What are your hobbies or things you like to do for fun? I like to fish. What is something most people don’t know about you? I am a die-hard Alabama fan. What is your most memorable baseball moment? Winning the 2013 Southern Conference Championship for Western Carolina. 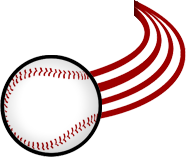 What advice would you give to young baseball players? Never let anyone tell you that you can't do something. Who is the person with the greatest influence on your career? I would say my father has had the greatest influence on my career. Where is your hometown and high school? I am from Richlands, Virginia and went to Richlands High School. What is your major in college? I am majoring in Accounting at Western Carolina University.